 The Royal Exchange Theatre is quite a team - around 500 people are employed or contracted by the Royal Exchange over the course of a year. Of these, 150 are in permanent positions, while around 350 are employed on short term contracts as actors, stage management, creative teams and technicians. The Governing body of the Royal Exchange Theatre company is the Board whose members are non-executive and unpaid. We want to get as many people involved in the work of the Theatre as possible. Here you'll find the latest job listings, but you may also be interested in work experience, training or our latest projects.